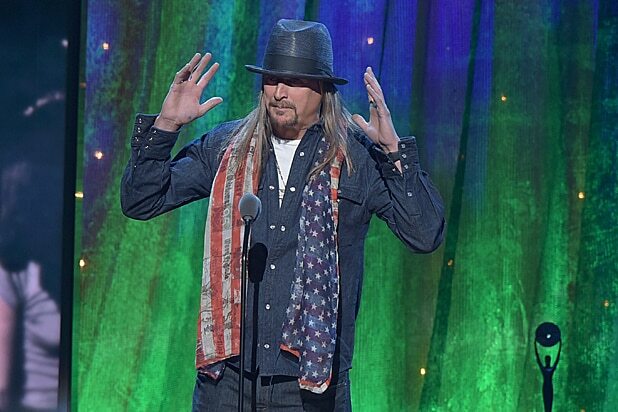 Kid Rock definitely isn’t running for Senate, no matter what he says. At least, that’s the word from Rock’s fellow conservative Michigan musician Ted Nugent says. “Cat Scratch Fever” rocker Nugent appeared on WJR radio DJ Frank Beckmann’s show on Thursday, and threw cold water on Kid Rock‘s supposed bid for Senate. The Motor City Madman also noted that the focus on what he perceives as a novelty bid works to the detriment of the Republican party. “I gotta tell you, it’s starting to piss me off, because it’s a waste of the GOP energy. Kid Rock is not running for anything. He’s gonna rock and roll till the day he dies,” Nugent said. After the campaign website went live with the slogan “Are you scared?” featured prominently on the homepage, Rock tweeted a response to the inquiries he had received.